Hey there, Beatles fan! Have we got the serving platter for you! Get the party started with this groovy Beatles Color Bar 14-Inch Ceramic Serving Platter. 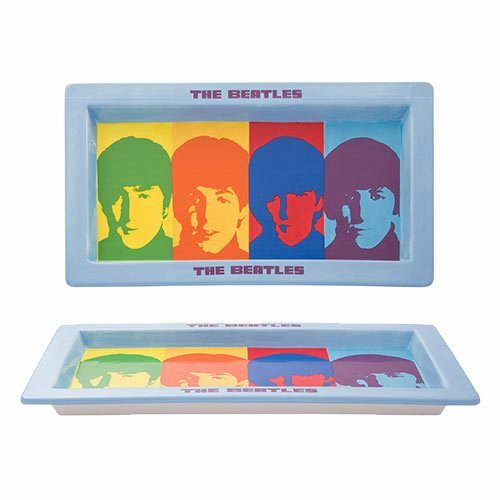 Measuring about 16-inches wide x 8 1/2-inches tall x 1 1/4-inches deep - and featuring images of John, Paul, George, and Ringo - it's sure to delight even the most discriminating fan! Dishwasher safe, the platter comes in a full-color gift box. Do not microwave. Age 14 and up.